Wedding fans are great for wedding and party favors for that hot summer day. This personalized Forget Me Not Hand Fan has an attractive and unique die-cut shape and comes complete with an Eco-friendly wooden handle. Treat your guests with this elegant and useful favor. 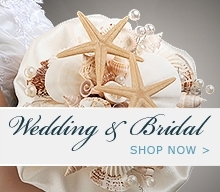 These personalized silk fans are a must have for your destination or summer wedding. The fans come with your custom message.